My father died a couple of years ago and my mom just gave me a few things, including this lens. It's a Soligar 90-230 f4.5. Very heavy. I can't tell what camera brand it fits. My father shot with Nikon but this does not fit my Nikons so I don't know why he had it. I looked it up on eBay and I found a few but they did not say what camera brands they fit. It's a manual only focus lens and you need a convertor to fit various cameras, usually the Minolta but will fit Canon and I presume Nikon with the right lens convertor. It's a screw mount type lens and obviously a convertor would be needed these days for any modern camera. A guy I knew many many years ago (he's long gone now) had one and he used it even for macro work. HERE is some info for you. Thanks Trev! That link was super. Sounds like a nice lens, I should look for Nikon adapter. Update, sounds like I might be out of luck. I talked with a guy from B&H and he found an adapter that would enable an M42 mount -- something about Pentax -- to go on a Nikon and was about to sell it to me and then he says "Oh wait, there's something funky with the reviews." Then he says that because of a 2mm difference of space re Nikon, they use a piece of glass in the adapter and that that really affects the picture quality once the adapter and lens are used. I (obviously) didn't completely understand but essentially the anatomy of the Nikon mount and the anatomy of the lens requires some gerririgging hardware that results in the picture quality being so poor that I shouldn't bother. Were this lens going on a Canon, he said, it would be fine. Right, I knew it would fit Minolta and Canon, and that's why I said 'probably' Nikon but you did the wise thing and not even try. Why don't you just hang onto it for sentimental sake if it was your father's lens or try to research for maybe a collector's price but I doubt if you would get any more than $75 but could be wrong. Thanks again Trev. My dad probably picked it up at a yard sale or something and maybe discovered he could not use it with his Nikons, I don't know. I am lucky that guy at B&H discovered the problem before selling the adapter to me. I would have been out $24 and change. What mount is it? M42 ? Then you'd love what a Sony A7 series camera does. Yes M42. Are you saying it will fit a Sony A7 series? Because the Sony A7 series doesn't have a mirror box, you can mount all kinds of lenses on it with the relevant adapter ... and still maintain proper focus at infinity. I had a non-native lens I wanted to try on my D-700 as a close-up/macro lens. I bought the adapter, removed the lens from it and dremmelled out the center until it no longer vignetted the lens. Add an extension tube if desired and bingo! I see this is getting to be an older thread, but had to share that idea! I'm not sure where the idea of this being an M42 (often called Pentax Screw Mount) came from, but it's not. I am almost certain it's what's called a "T4" mount and was made/designed to be used only with adapters, including Nikon (as well as Canon FD and Minolta MD among others) but just not the type the B&H fellow was talking about. Unfortunately, that was a no go from the start, and for the simple reason that it wasn't going to ever mount to your lens, glass or not. In fact, no cameras were designed to natively use this mount. As I understand it, T4 adapters are getting harder to come by these days as this was an old (perhaps early 70's give/take universal-type mount) but are still out there or, perhaps, someone is making new versions. You'd have to check. 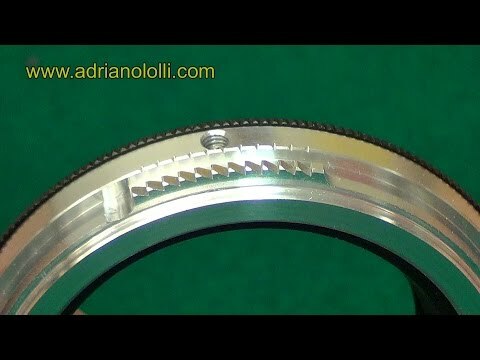 I was able to find a video showing the T4 mount, so hopefully it'll be of some help. 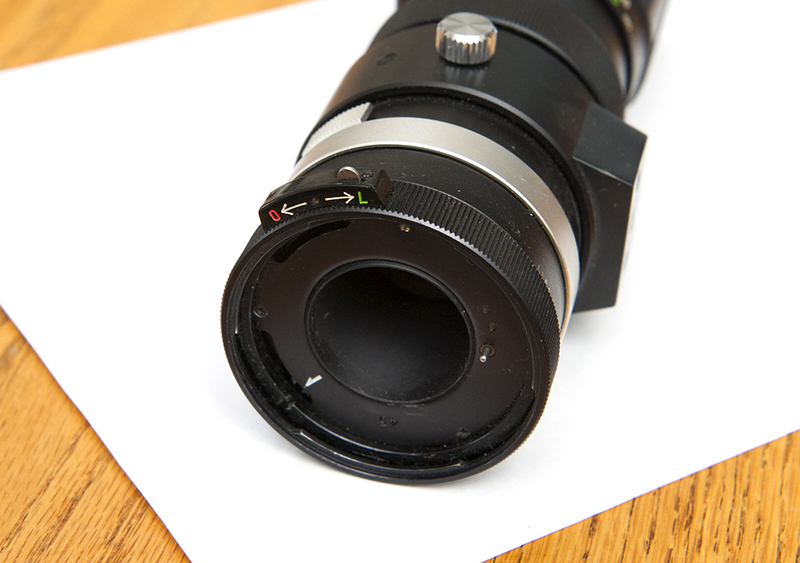 Just to be clear, to mount on Nikon, you'll need a T4 to Nikon adapter. As for the lens itself, Soligor, like Vivitar, wasn't a manufacturer but a distributor, and was possibly made by Tokina (but please don't quote me on this). I haven't had the chance to personally try this one out, but I understand it's not a bad lens in context. Not great, but not bad all things considered. I realize this is an older thread, but perhaps the OP is still around. Good luck. Thanks Sean for that link and clarification. Thank you Sean. That's interesting. I've abandon my efforts to use the lens but this is great to know if I try to sell it/give it away, etc... Your technical and historical knowledge of old obscure lenses is impressive. Sean .. thank you for the info. Much appreciated.